That’s right. 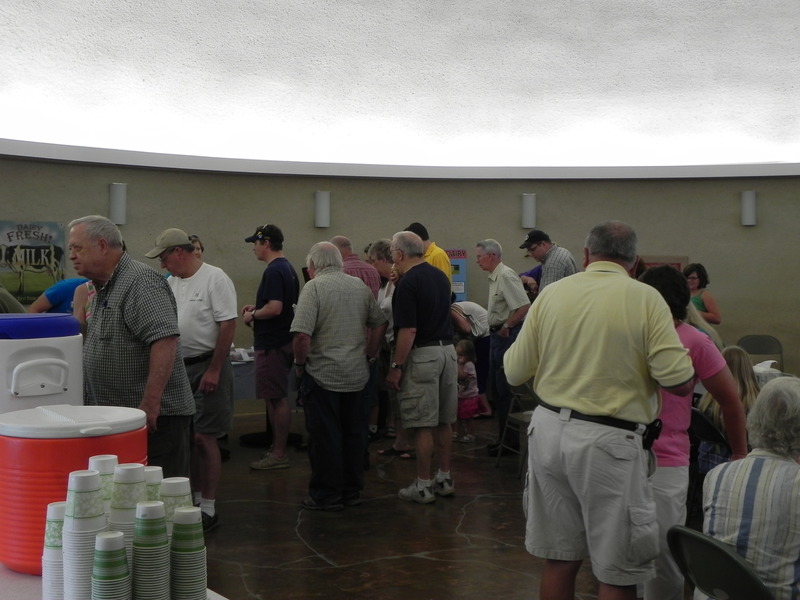 We’re taking our hats off too you, our customer, for making our open house such a huge success! 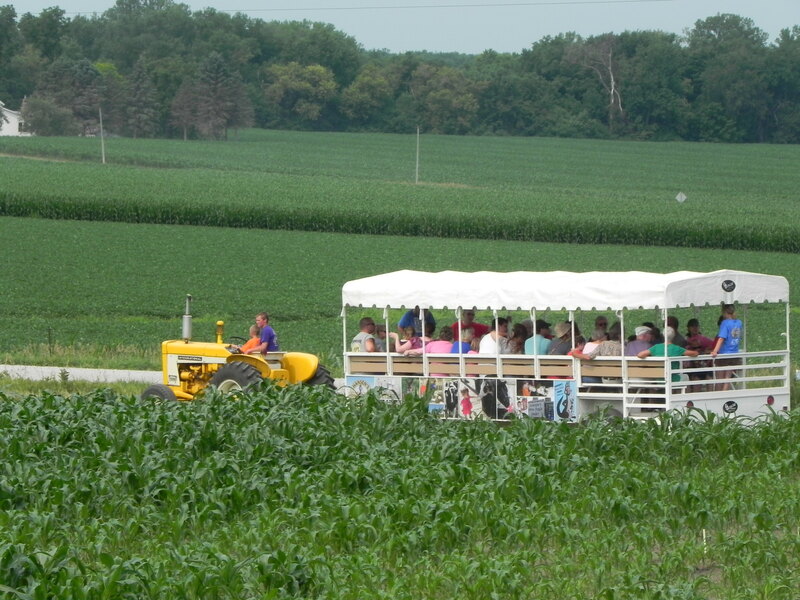 We had an estimated 350 people out to the farm on Saturday for product sampling and trolley rides. If you weren’t there, here’s what you missed out on! 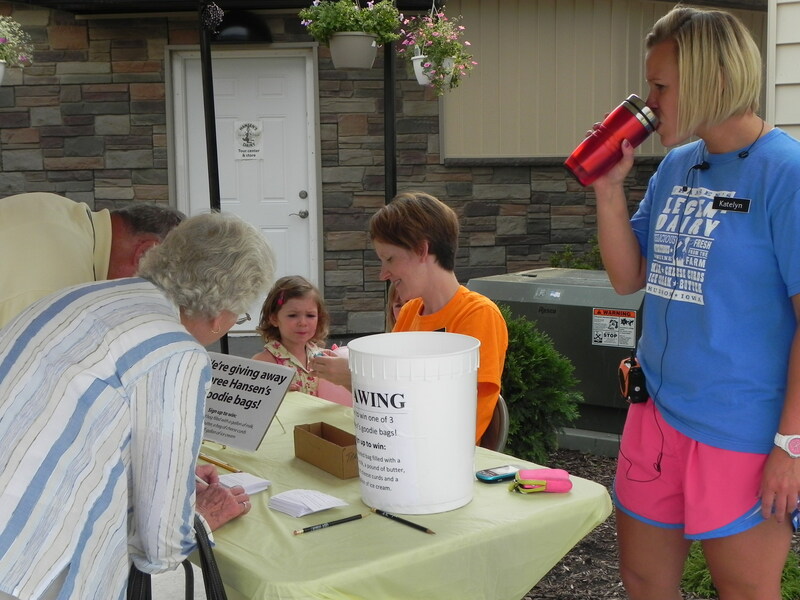 Customers signing up for our drawing at the welcome table. 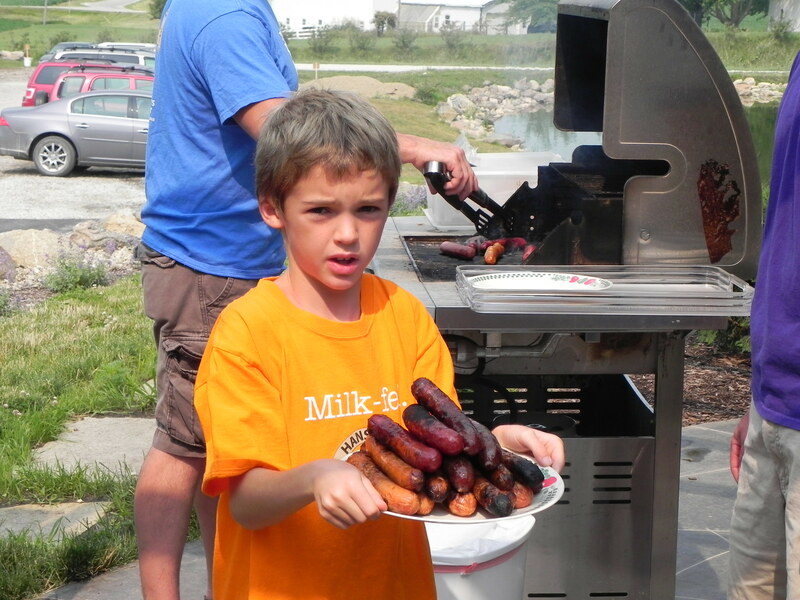 Sam helps bring in some brats and hot dogs for sampling. Customers in line for product sampling. The trolley making its way to the farm for a tour. 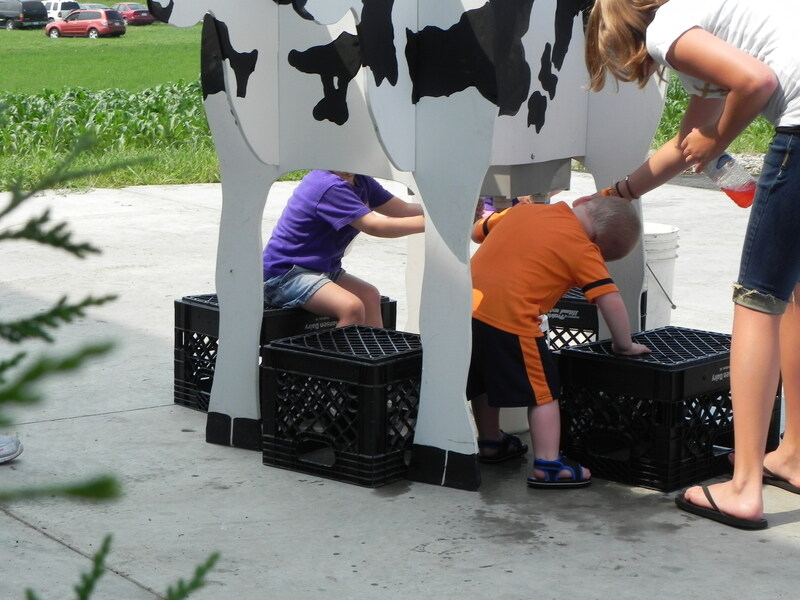 Kids try their hand at milking our wooden cow! 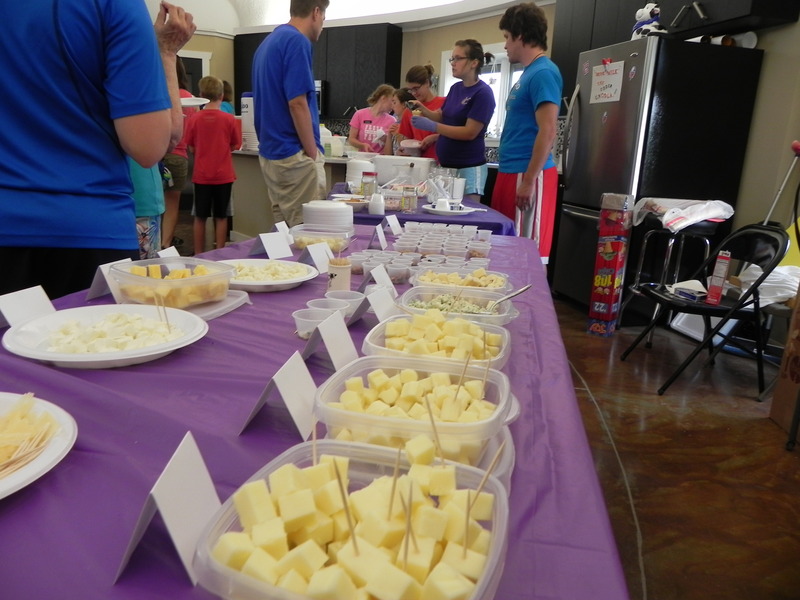 Thanks again to everyone who stopped by and for making our open house a huge success! 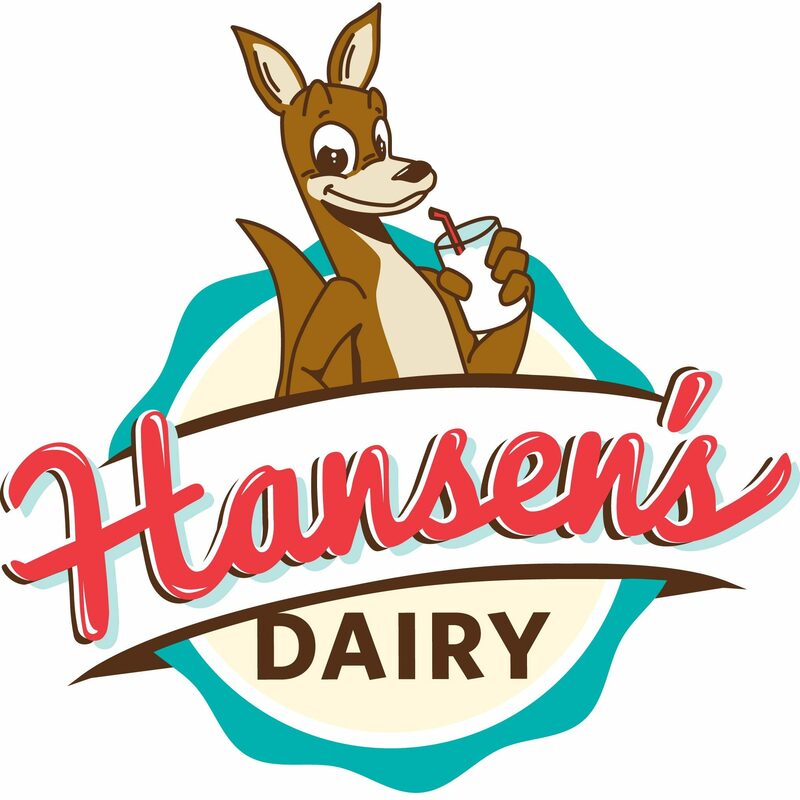 2012 Solar Splash at George Wyth Park gets a taste of Hansen’s famous ice cream! The University of Southhampton team, from the United Kingdom, enjoyed our oatmeal chocolate chip ice cream sandwiches during the Solar Splash today. We caught up with the UNI Solar Splash team just after they got out of the water for a photo. Don’t worry, they got ice cream too!